Have extra candy canes? This is the recipe for you. I was in cupcake mode - I enjoy these modes because I get to use my super snazzy cupcake carrier! I got to use the leftover candy canes that I crushed for the bark. Plus they're so fluffy - this was a recipe I found on someone else's blog, but it's great for that last minute holiday party, they will be a hit for sure! For the cupcakes, this will yield about 24 cupcakes. Preheat the oven to 375 degrees F. Mix all of the ingredients together: sugar, brown sugar, oil, eggs, vanilla, chocolate, mint chocolate, flour, baking soda, baking powder, salt, milk and boiling water. The consistency is kind of runny - but don't be scared of it - it'll round out super fluffy and delicious. Bake for 9 minutes at 375 degrees F. Reduce to 325 degrees F and bake another 6 minutes. 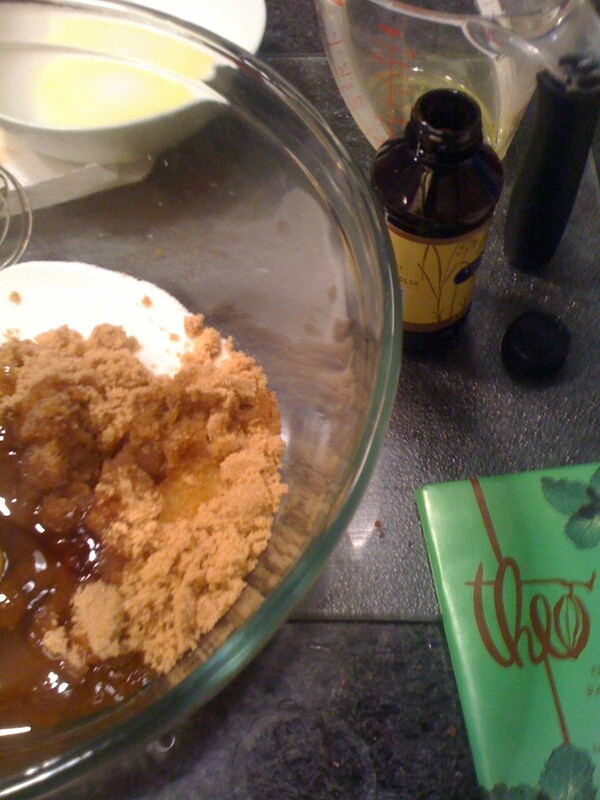 This is so not my recipe. None of these recent ones are - but seriously, why reinvent a good thing? 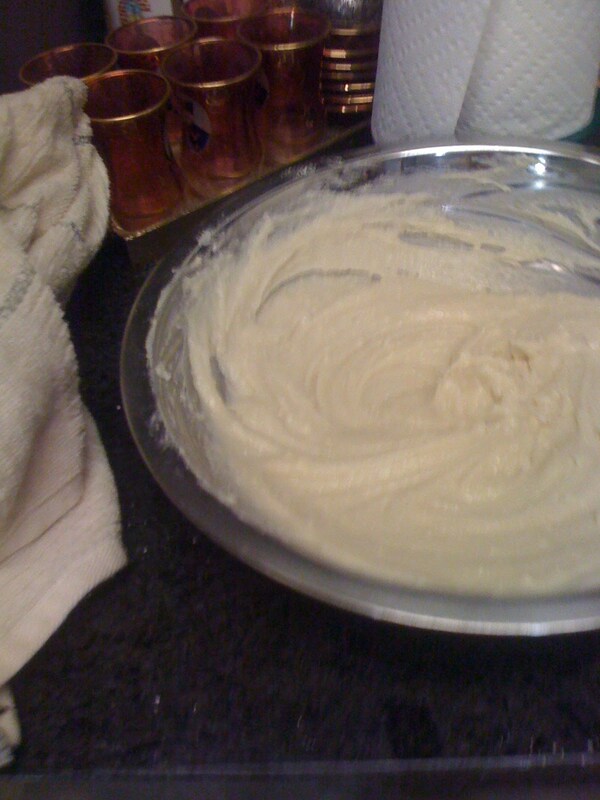 To make the frosting, again, mix all the ingredients. The sugar, butter, vanilla and whipping cream - just dump them into a bowl. Yum! Basic frosting! That recipe is a keeper. I sprinkled with red sugar dust stuff that I found in my pantry and crushed candy canes. The amazing thing is how long these cupcakes last. Seriously. 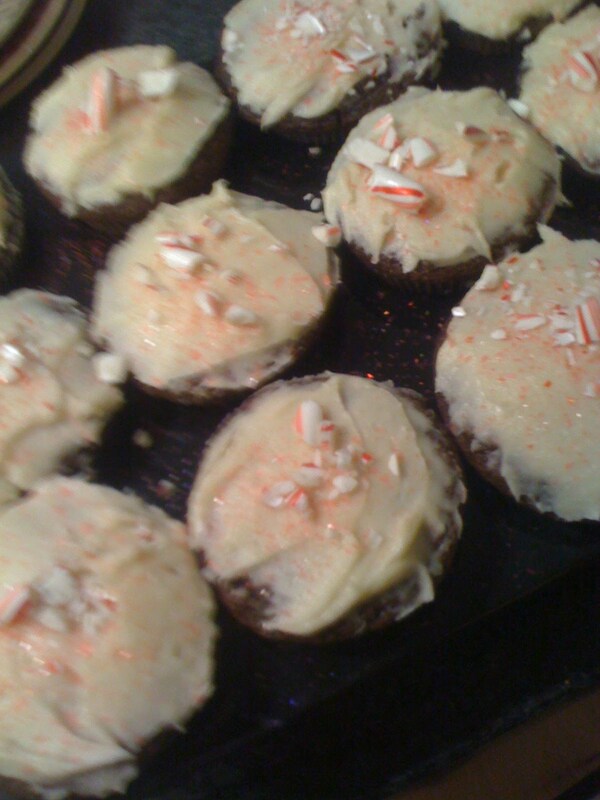 And the candy canes, for whatever reason, melt a little into the frosting. It's great. Eat these. I can't use this recipe. It's for 24 cupcakes and I need to make only 12. Can you please post the same recipe for 12 cupcakes?